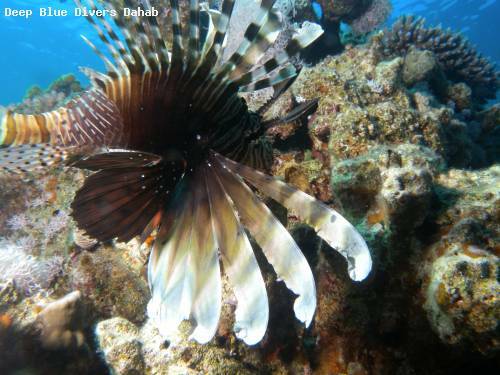 Mashraba is a nice reef near Dahab which is the house reef for many dive operators. There is a nice area of sea grass at ten meters deep, some pinnacles at twenty meters and a nice overhang or swim through at 35 meters all separated with some small walls. Visit the swim through first and slowly dive shallower to enjoy the table corals, potato cods and napoleons that live here. Diving here at night is also often done and you will see many species you won't see during the day.